Readers of Cthulhu Reborn that are interested in creating 1920s era Newspaper-based props for their Lovecraftian games probably already know about Mutable Deceptions, Volume 1. 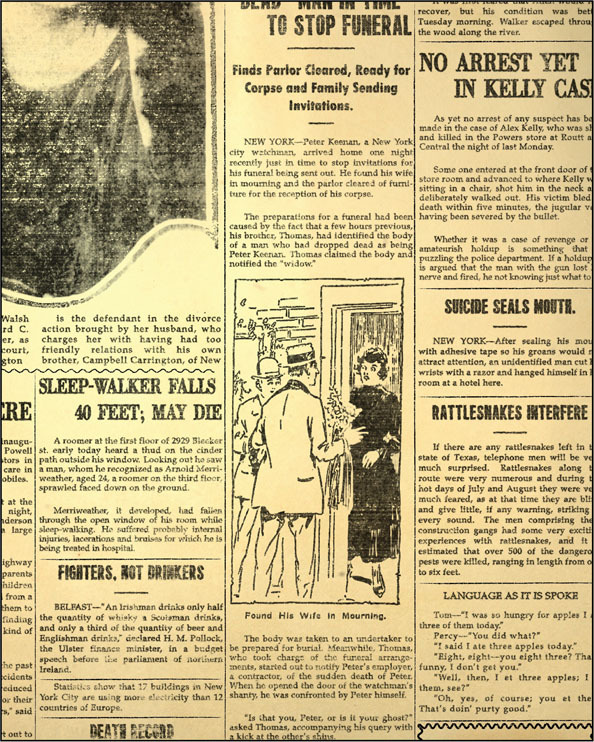 For those that don’t it’s basically a PDF-based toolkit for making nifty authentic-looking 1920s newspaper articles, complete with surrounding articles/ads and a reverse side. It’s Cthulhu Reborn’s only commercial product to-date … and you can find out more about it over on RPG Now if you are so inclined. This is a fair comment — although the original PDF pack for Mutable Deceptions, Volume 1 does include 8 or so pages you can use to create reverse sides for your awesome home-made newspaper clues, there’s always room for more. And I do hate bored players. So … in the spirit of giving out Freebies for loyal readers of this blog, I thought I would put together some additional PDF pages that can be used along with Mutable Deceptions if you want a bigger selection of material for the reverse side of your clippings. Of course, there’s nothing to stop anybody from using these files on their own (without Mutable Deceptions) — if you can do that, more power to you. Celebrate the spirit of sharing free stuff on the Internet! Print ’em out and use them to wrap your fish and chips for that authentic old-school dinner (disclaimer: if you do this, I am not responsible for anything that happens – you’re on your own :)). 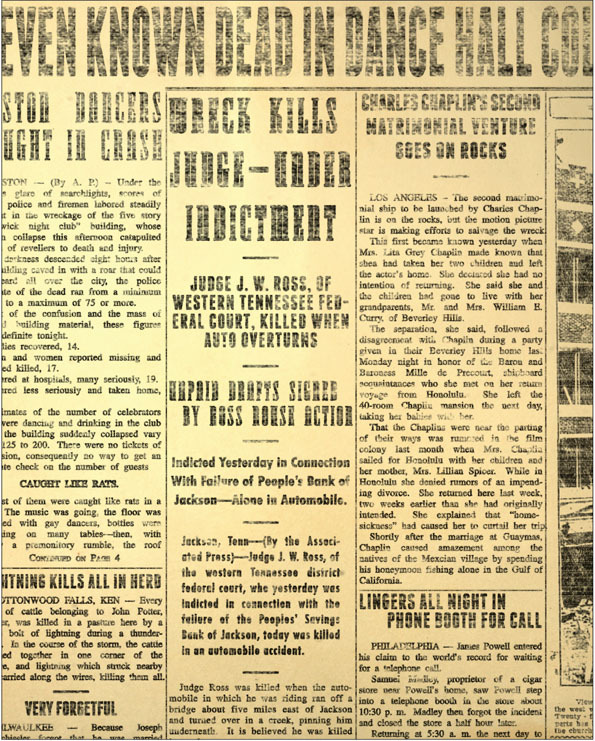 You can download a PDF with two full pages of new newspaper content (based on real American newspapers of the 1920s, but re-typeset to look more consistent with the fonts and typography used in Mutable Deceptions, V1). Each page is provided as a version with background texture and another without — for those who like printing their newspaper articles on exotic paper to give them even greater authenticity. I hope folks find these helpful — I am likely to create a second batch of freebie newspaper add-ons sometime in the future. This entry was posted on Tuesday, July 21st, 2015 at 8:59 am	and posted in Cthulhu Game Aids, Prop Elements. You can follow any responses to this entry through the RSS 2.0 feed.